Join us on the beach for Lifeboat Day 2018! Live Music, BBQ, Lifeboat Displays, Grand Prize Raffle, Games, Tug of War, Sand Castle Competition, SUP boards, Dune Runner Games, and much more.Fun for all the family! 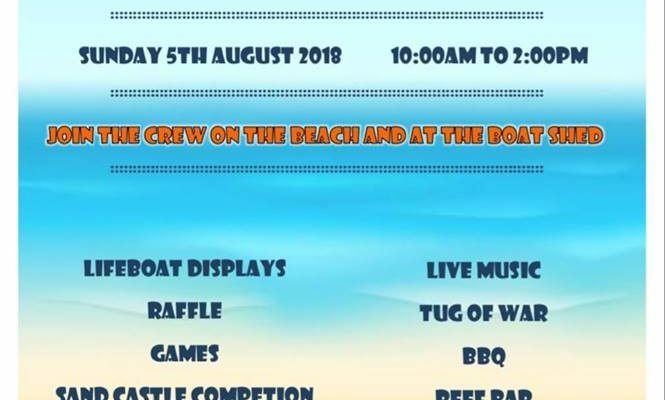 Please note the date in your diary for a great day on the beach with your local lifeboat crew. EGG HUNT – THANK YOU!